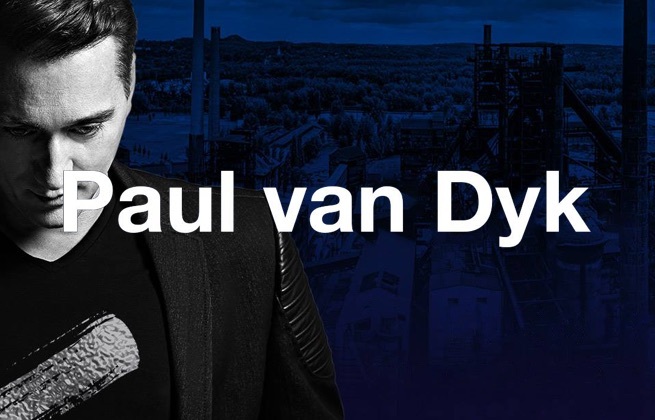 This ticket allows regular access to Paul Van Dyk in Ostrava 2019 on Friday 24th May 2019, 20:00. Mercure Ostrava Center is a 4-star hotel in Ostrava city centre, with 139 rooms, a restaurant, bar, summer terrace, fitness area with a steam bath and excellent meeting facilities fully equipped with state-of-the-art technology. The hotel is 10 minutes from the central station and within walking distance of the cultural and commercial districts of the city as well as the famous Stodolni street. Hotel Ruby Blue is unique not only in its design and location but also by its premium services, which include first and foremost its healthy environment through ventilation of rooms by air ventilation units with heat recovery. The rooms are guaranteed to have a supply of fresh air even when the windows are closed. The air is filtered and does not contain dust or allergens. 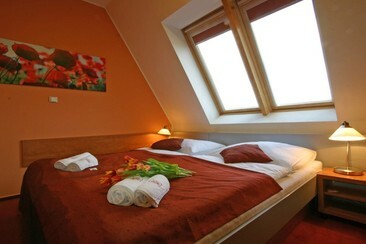 The modern and comfortable four-star hotel is located in the city centre of Ostrava, just by the famous Stodolni street. The Italian restaurant "Da Giorgio" serves delicious dishes in a great atmosphere and the hotel bar offers a wide choice of mixed drinks, wine and draught beer. On weekends guests can enjoy the atmosphere of the buzzing Stodolni street from the outdoor terrace. 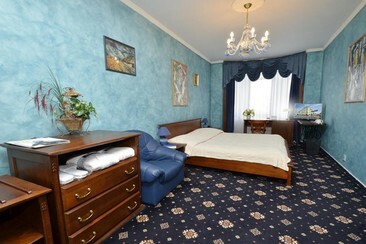 Brioni Boutique Hotel is located in the pedestrian zone in the heart of Ostrava. It features air-conditioned rooms with a minibar, cable TV and free Wi-Fi. A modern cedar wood sauna, a steam bath and massage treatments are available at guests’ disposal. Brioni Boutique Hotel provides secured parking for guests at an extra charge. The restaurant of Brioni Boutique Hotel offers fine regional and international cuisine. For bookings of minimum 5 nights, a shuttle service from the hotel to the airport or bus station is available for free.